Ladies! There is a new cool e-shop in town that you may have heard of. In case, you haven’t, we encourage you to check it out. Not only does it carry amazing trendy fashion items but it also brings to our attention an important awareness campaign on the topic of slave-labor. 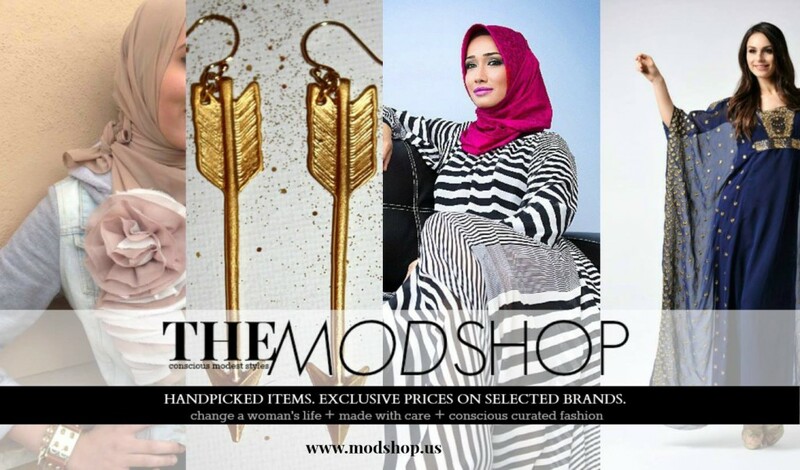 This online store called The MODSHOP was launched earlier this year by the lovely style editor and owner of Sweet Modesty, Sadeel Allam. 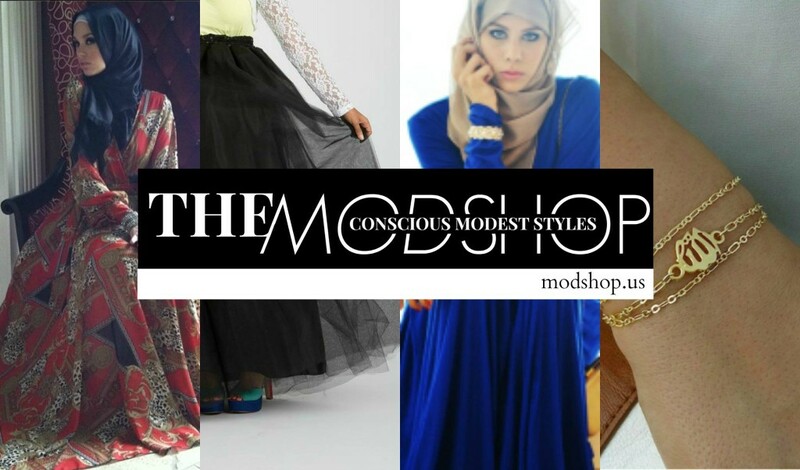 Sweet Modesty is a website that is quite popular in the modest fashion world Ma shaa Allah. Following are our own questions and answers by us for you all. Our responses are based on our research plus conversations with Sadeel. So what’s so cool about this new online shop? 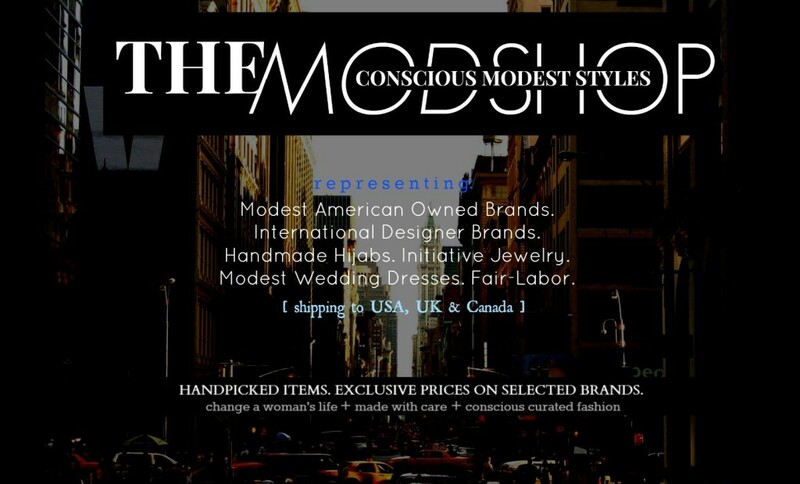 The MODSHOP is perhaps the first ethical online modest fashion multi-brand platform for the social conscious woman in the USA. While based in New York City, one of the fashion hubs of the world, they not only bring us USA based ethical modest fashion brands but brands from around the globe under the same roof. 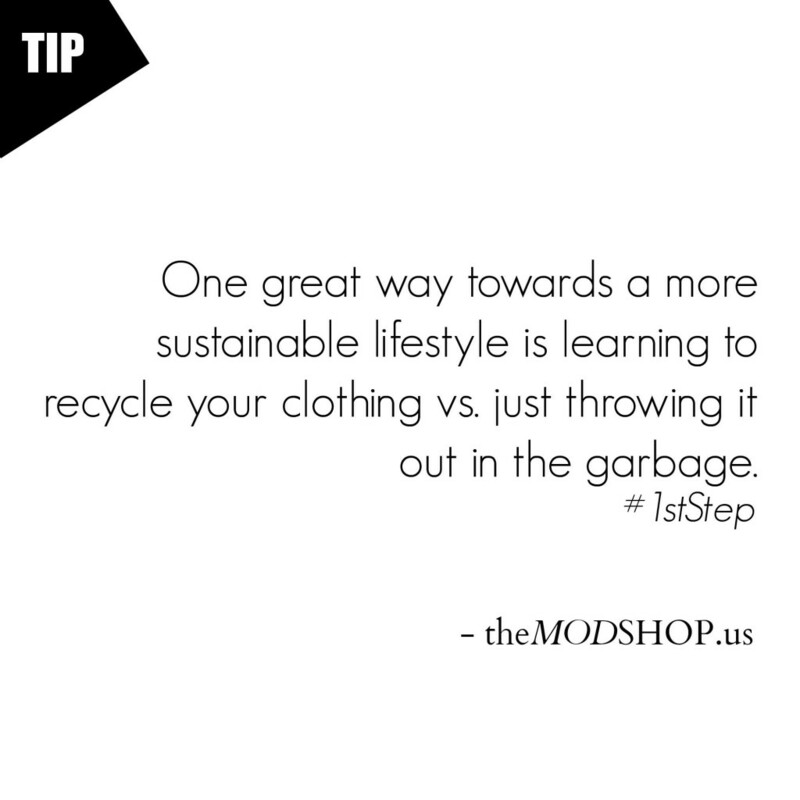 And how exactly do they find these ethical modest pieces for The MODSHOP? Sadeel herself carefully selects specific ethical modest fashion brands to bring us the latest fashions trending in the hijab and modest fashion scenes. She makes sure that their selected items are “made with an ethical responsibility aspect.” This is her “1st step bringing us conscious modest fashion” and she “hope it is ours too.” The most important sections in The MODSHOP for her are the products that are “100% fair labor under the Fair Trade Federation that help the livelihood of women in developing countries.” In other words friends, our purchases are important and really matter! What is The MODSHOP’s slave-labor awareness campaign about? Sadly, and as The MODSHOP site explains, there are some serious atrocities or ‘slave labor’ (a.k.a lack of fair-labor) happening within the clothing making industries around the world. It can be in different forms during the clothes making process and can involve anything from adult/child trafficking, underpayment, unsafe working environment, zero benefits to verbal and physical abuse to name a few. Unfortunately there is still a great deal of work and awareness that needs to be done in the modest style communities worldwide. [pullquote]“This can no longer go on, we as people of all faiths have to really wake up and put to use what our religion teaches us about the responsibility we have over ourselves and importantly over others.” – M. Sadeel Allam, Owner[/pullquote] With this thought in mind, The MODSHOP wants to take the first realistic steps in bringing awareness towards “ending inhumane treatment and unfair paid labor in the garment modest style industry.” They work with small and established brands that “put care in the making of their products” and “believe people of faith should be in the front line making changes and setting the example because it is part of their belief and way of life.” In summary their goals include 1. 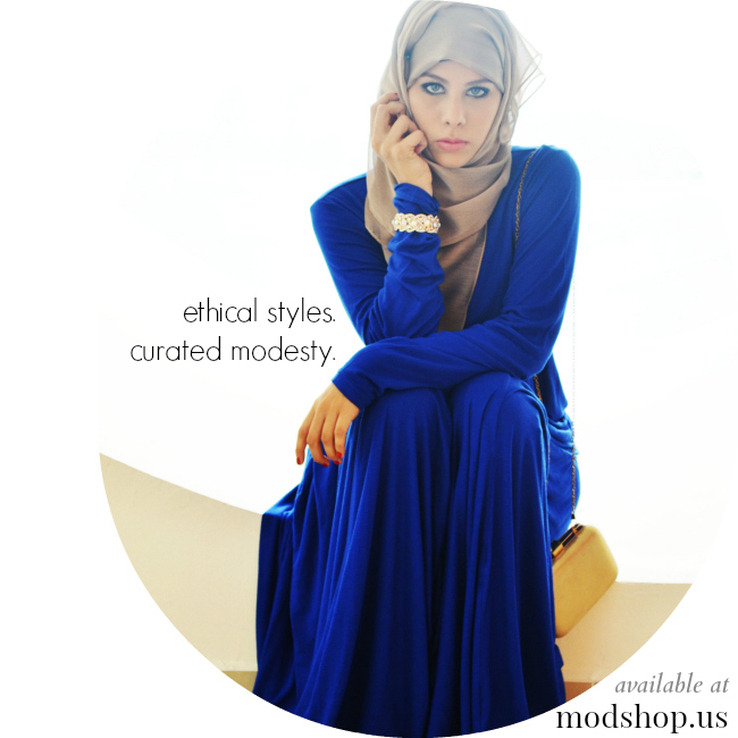 Bringing us modest fashion options for hijab or multi-faith modest wardrobe. 2. Encourage modest fashion brands and fashonistas towards the ‘1st Step Initiative of reducing ‘Slave-labor’ and promoting ‘Fair-Labor’ from the garment construction aspect. 3. Help small ethical modest fashion brands businesses grow and work with established modest fashion brands. So we wondered as to why we should buy from The MODSHOP when we can easily go to the individual brand’s pages? After talking to Sadeel, we made ourselves a checklist to understand the pros since we really can’t think of cons at the moment. ——————– All the photographs on TheMuslimBride.Com site are either taken or provided by the bride, artist or the photographer for The Muslim Bride LLC. Any photograph with The Muslim Bride logo were taken or edited by The Muslim Bride team and are hence the property of The Muslim Bride LLC. If you use any photographs from The Muslim Bride’s website or other social pages for ideas and inspiration, please cite the source of your inspiration (TheMuslimBride.Com or The Muslim Bride LLC) and give credit where it is due (the photographer or artist who took those beautiful photographs). We will all give you a good dua In’shaa’Allah. Thank you.